The Rolex GMT-Master History is Closely Tied to the US Air Force, NASA, and More. 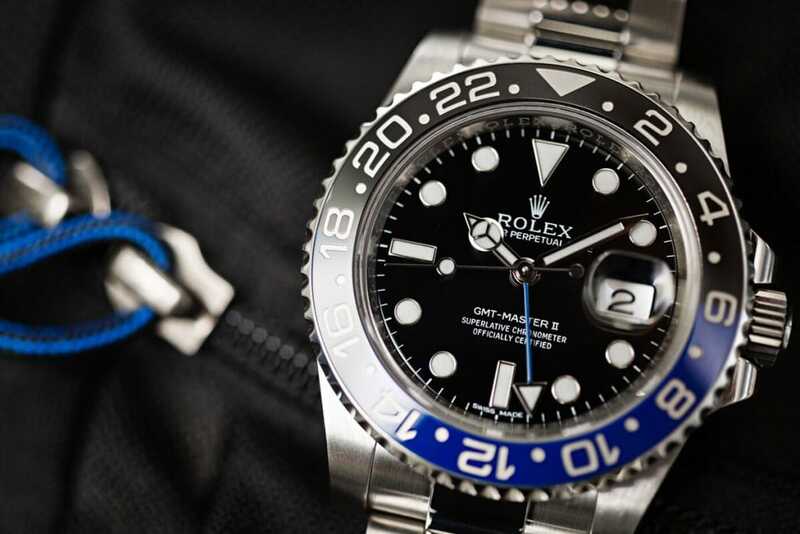 Have you gotten a glimpse of a Rolex GMT Master II and wondered what inspired Rolex to develop such high-tech marvel? The GMT-Master history goes far and it is closely tied to aviation. It all began when the Pan-Am company decided to find an inspired watch capable of displaying multiple time zones simultaneously and their desires, hard work, and dedication paid off. Their dream watch would allow for their dedicated pilots as they made lengthy transatlantic crossings. The Rolex GMT Master has a long history tied to the US Air Force. Rolex was more than happy to take on the challenge and brought the Rolex GMT Master I and GMT Master II to market. Upon its release, Pan-Am pilots blown away by the elegant, yet amazingly useful watch. Additionally, NASA and the US Air Force pilots decided it was perfect for their daring adventures. Avid travelers then jumped on-board when it was scientifically discovered that being able to view both their home and local times helps lessen the jetlag effects. Plus, a new or used Rolex GMT is perfect for other adventures such as diving and sailing – and it looks great in the office boardroom! The first Rolex GMT model (ref. 6542) was released in 1954 and featured a stainless steel bracelet. In 1964, the watch was featured in the James Bond movie Goldfinger, as warn by one of the key villains. Vintage Root Beer Rolex GMT-Master with a tropical dial and faded bezel. 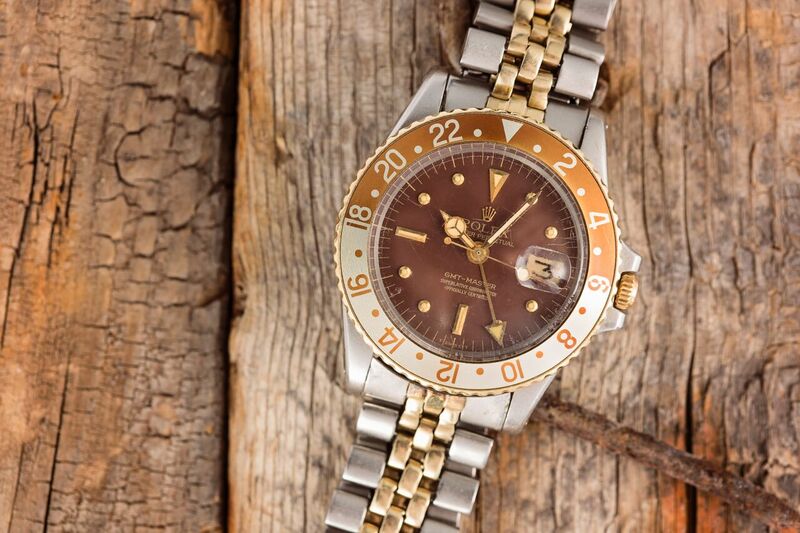 In 1959, the second version of the Rolex GMT was officially released. This version of the classic is one of the most popular vintage watches in history. Each day numerous Rolex fans search for the pre-owned Rolex GMT, which can be quite difficult to track down. When 1980 rolled around, Rolex updated the watch with an all-new movement and glossy dials. Noted as the 16750, it was only in production through 1988. This halt lead to the limited amount of Rolex GMT’s produced and resulted in it growing into an esteemed collector’s piece. The following years saw the watch go through several changes until it evolved into the Rolex GMT-Master II, which is more elegant and refined. Today, the timepiece is still loved by those who love to travel and adventure their way through life. GMT-Master ref. 1675-3 is elegant and allows for people to see multiple timezones. Looking for a used Rolex GMT? 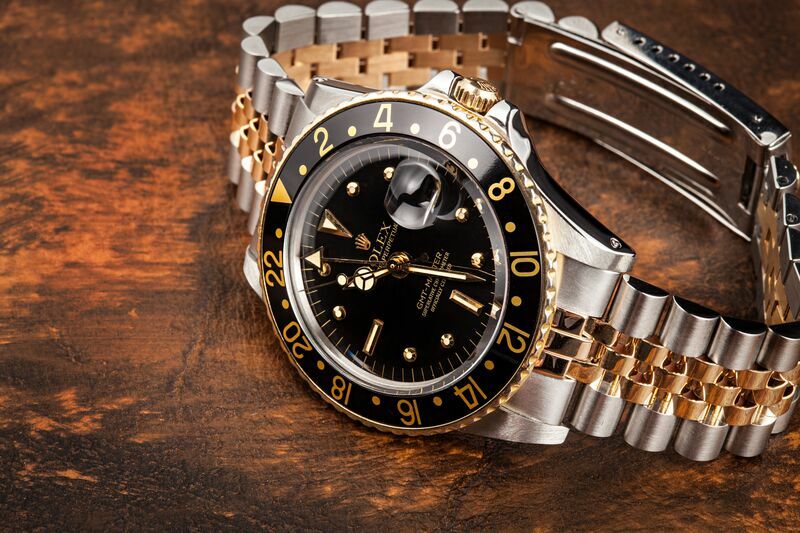 All you need to do is locate a certified, pre-owned Rolex buyers and you are sure to find what you are looking for!